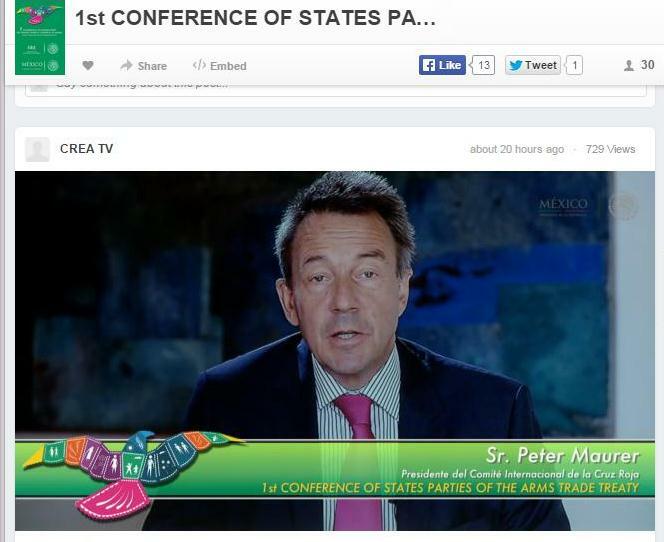 The blogosphere is atwitter that the great global gun grab has begun now that the Arms Trade Treaty (ATT) First Conference of States Parties (CSP1) has commenced in Cancun, Mexico. Adam Weinstein’s brilliant piece “It’s a U.N. ‘Gun Grab’ — Reach for Your Wallets!” in the new “The Trace” is a great retort and analysis. But let’s get back to reality and the vital importance of a robustly implemented ATT, and the millions of lives and livelihoods that are at stake today. Control Arms has been advocating messages of transparency and the importance of robust, life-saving implementation of the Treaty. 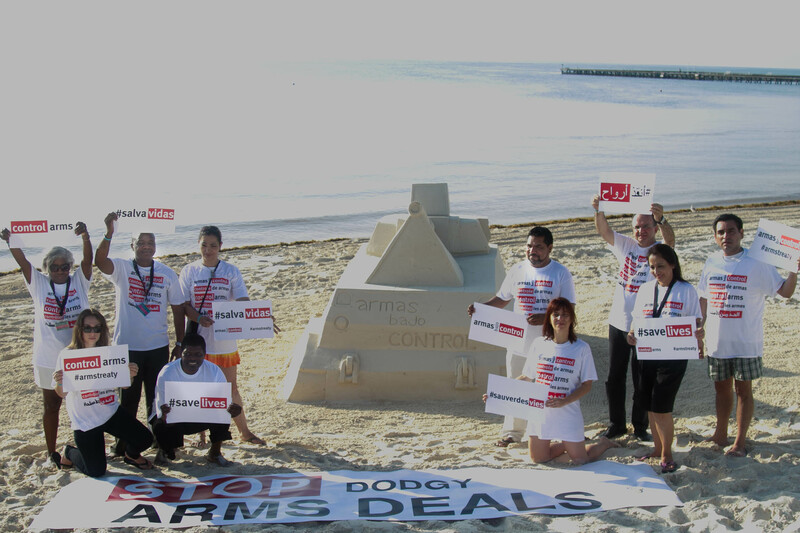 This was highlighted through a media action on the beach in Cancun that unveiled a tank sculpted from sand accompanied by the message to “save lives and stop dodgy arms deals.” IPPNW’s Dr. Bob Mtonga was front and center for this action and will be reporting on developments from Cancun as the week progresses. Dr. Bob Mtonga and colleagues from Control Arms say “Save Lives” with sand sculpture at ATT mtg Cancun. You can follow the action in Cancun via a video livestream where you can also view previous statements by other luminaries including former president of Costa Rica Dr. Oscar Arias. A daily summary by the Control Arms coalition can also be found in the Reaching Critical Will ATT Monitor.